The PSU, which is currently working on many crucial projects, including that of manufacturing Light Combat Aircraft, Su-30MKI fighter jets and many helicopter projects. 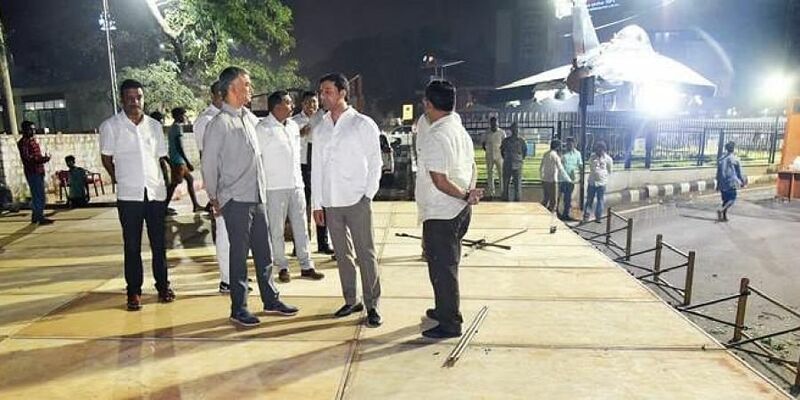 BENGALURU: Amid the political slugfest over the Rafale fighter jet deal, those associated with Hindustan Aeronautics Limited (HAL) feel the state-owned aircraft-maker has been marginalized in the last few years, slowly evolving as a mere event management firm organising Defence ministry’s events. The PSU, which is currently working on many crucial projects, including that of manufacturing Light Combat Aircraft, Su-30MKI fighter jets and many helicopter projects, was tasked with conducting the Defense Expo and Defense Investors meet earlier this year. Now, it has been entrusted with the task of organising the biennial air show, Aero India 2019, scheduled for February next year. “With over 90 per cent of its workforce coming from a technical background, the firm must be focusing on making aircraft and meeting deadlines on the current projects and not doing the job of an event management firm,” said a source in the ministry of defence. “Since the air show is an international event, a large number of people in decision-making positions will get busy with its preparations and that may impact other tasks,” sources added. These events were earlier managed by Defence Exhibition Office (DEO), which is part of the Defence Ministry. “You cannot even think of Air Force without the HAL. We strongly feel that we have been undermined and our capabilities have not been utilised for the service of the nation,” said an employee of HAL. He, however, disagreed with the contention that it should not be involved with organising MoD events. “Organising events like Aero India is also part our job,” he added. The PSU, which is the backbone of the Indian defence industry, is working on many important projects, but has not got any big order recently, except for the Advanced Light Helicopters (ALH) Dhruv. The Defence Acquisition Council (DAC) has cleared the acquisition of 83 Light Combat Aircraft and Light Combat Helicopters developed by HAL, but none of them have evolved into orders. “Except some small orders, HAL has not got any big orders and its reserves are dipping,” sources said. The HAL cannot be just marginalised as it is the backbone of the Indian Air Force, said GS Jamadagni, former head of quality control department at the PSU. “You cannot just brush aside HAL like this. It is not just about buying aircraft, we need to look at the future,” he said. “Current developments are disturbing. I am saying it not because of any sentimental attachment with the company that I worked for, but more out of concern for the country’s security and long term interest,” he said. According to former chief of IAF Training Command, Air Marshal BK Pandey, the whole debate on the Rafale deal reflects lack of consensus on national security. “No price is too high for the national security. No price is too high for aircraft, if it is required to boost the strength of the Air Force,” he said. “The only way to end the debate is to bring the elections forward. Once elections are over the debate will end,” he said.